Yeah, that’s a lot of people who are up on Facebook! The WSJ has just released some preliminary numbers that are suppose to be coming from ComScore later today – and these numbers are going to break down the top dogs on the web who are driving the most traffic. According to comScore’s numbers, which are set to be released later Tuesday, Facebook saw 519 million visitors world-wide, in fourth place. Google had 921 million users, second-place Microsoft had 728 million and Yahoo had 588 million. 519 million visitors hit Facebook worldwide in the Month of April. And with that many visitors, odds are you were one of them (I know I was). What is shocking with these prelim numbers coming out of ComScore is that Microsoft came in 2nd place with 728 million users visiting their site and web properties. I thought for sure that Facebook was beating Microsoft in web traffic, and I even wrote an article about how Facebook actually got more traffic than Google one month. I guess it just depends on how you are defining traffic: absolute unique visitors, visits, hits, etc.. depending on how you measure it, the outcome will be different. 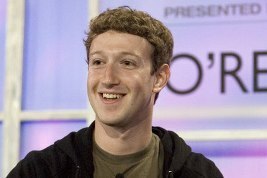 So today, let’s just suffice it to say that Facebook now generates over 500 million unique visitors a month – which is A LOT!! !